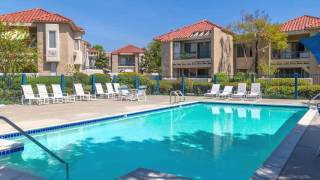 Mira Mesa is a family-friendly, middle-class neighborhood, within the city limits of San Diego. Bordered by Carmel Valley on the west, Scripps Ranch on the east, and Rancho Peñasquitos on the north, and Marine Corps Air Station Miramar on the south, it has easy access to Routes 15 and 805. Downtown San Diego and Torrey Pines beach are both only 25 minutes away. An established neighborhood, Mira Mesa offers a quiet, safe environment for singles, couples, and families with children who want to live in a convenient, suburban neighborhood close to everything San Diego has to offer.